A dystopian world in which people who are different are feared persecuted and hunted. 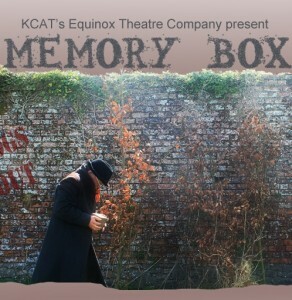 Memory Box tells the terrifying tale of an extraordinary man who journeys to escape the ‘regime’ armed only with his memories. Equinox Theatre Company was started in 2008 as part of KCAT Art & Study Centre. It has grown into a bold brilliant, beautiful and brave ensemble. Artists with learning disabilities and other disadvantages work in collaboration with other professional theatre practitioners to create work that challenges and delights both its makers and its audience.